We should all have heard by now about influencers, people that have significant amount of followers and engagement on social media that can showcase your stuff. The idea has been around since YouTube started really, with people creating channels. Have you seen those channels that started in 2008-2009 and continue to this day? They have hundreds of millions of followers, just because they stuck with it. Influencer marketing started booming with the rise of Instagram and Snapchat. It’s so huge it’s almost absurd. So why does Influencer Marketing have an ROI that’s x11 greater than anything else out there? Because of the creative license that influencers get to work with a brand and represent a product. Recently the city of Las Vegas hired DJ Khaled to create video on Snapchat for them. This man literally made thousands of dollars because he spent the last few years recording 60 second videos of himself. 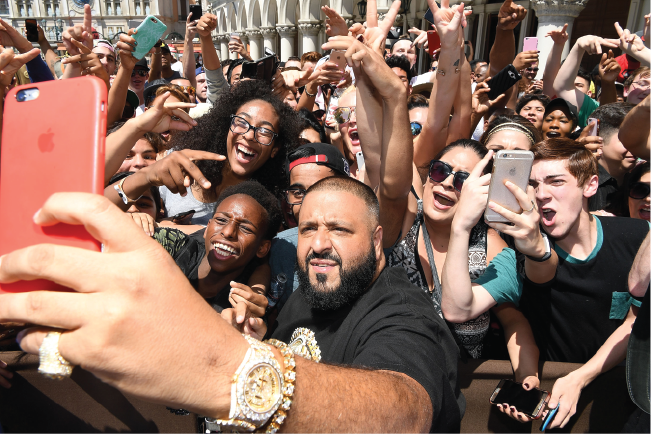 This was what is called a “Snapchat Takeover” where DJ Khaled took to the streets and made videos of his favorite places to visit in Las Vegas. The video re-posted on Facebook got 300,000 views. If DJ Khaled can, so can you. Just kidding. The point of the story is that the most legitimate organizations on the planet – city governments – are using Snapchat and hiring influencers to market it for them. That’s incredible. Influencers are here to stay folks. And not only influencers, but their pets too! What? Mercedes, the car company, hired a dog? A dog can be an influencer? Loki, and his owner Kelly Lund have 1.5 million followers on Instagram. Kelly actually found this puppy in a blizzard in 2012 and they have been inseparable ever since. It says on Loki’s page that Kelly feeds him, but I think it’s really the opposite. Many brands hire Loki to be their brand ambassador, which is funny if you think about. That puppy is making bank! Mercedes-Benz recently hired Loki and Kelly to make a video about their latest model. It’s an absolutely stunning video showing the two play in the snowy wilderness in Colorado. the video got 80,000 views on YouTube. A silent video? Are you kidding me? Nick Offerman is a famous actor, comedian and TV producer that starred in the show Parks and Recreation. Lagavulin, the malt whiskey, hired Offerman to do a video for them. The silent 41 minute video is just Offerman sitting on an armchair sipping whiskey, not saying anything! The campaign received the Shorty award for best influencer & celebrity campaign. Lagavulin was able to reach out to a younger audience. These are just three of the coolest influencer campaigns and there are loads more. You can see that influencers can give a brand access to a completely new audience, improving their brand image and skyrocketing their sales. It will be interesting to know what influencer campaigns come up with in 2018! Have you seen any interesting influencer campaigns? Send it our way! Definitely! Influencer marketing play such a huge role. By the way I was wondering, how does companies choose the best influencers to work with? what are their basis? It’s a few things – relevance to their niche, how big their following is, and the rate of engagement (how many likes/shares/comments they get per post). Interesting post but you didn’t tell me much more than I already know. I’d like to learn more tangible skills & tactics on how to approach and pitch these Influencers. Hi Ben, Thanks for sharing your ideas here! Are you familiar with vine videos? I know they’ve died out now, but it seemed to be a huge influencer marketing channel back in 2014! We did a 3 months campaign with our influencers on vine as well as on Instagram and snapchat, however results were better with our vine influencer campaign than on the other channels.. I must say, Instagram did not offer videos or stories yet… We even used the same influencers for both vine and snapchat – and yet Vine was getting way more traction. 100%. Vine used to be HUGE. DSharp first made it big on Vine. What social media channels are you guys using now?